An average of 18 school-aged children die in school transportation-related crashes each year. During the week of April 7, 2013, two separate school bus accidents occurred in Jefferson County. One of those accidents was on April 8. In this accident, 12 students from Camp Taylor Elementary School suffered minor injuries when their school bus was struck by a car. According to Jefferson County Public Schools (JCPS), the crash happened at the intersection of South Brook and Hill Streets in Louisville. The accident involved bus 0465 carrying 60 children at the time of the crash. Related: JCPS Adding Cameras to School Busses: Helpful or Not? The other accident took place on April 11. In this accident a school bus carrying special needs students collided with a car. One student from Churchill Park School sustained a head injury. JCPS officials said the accident involved bus 0706 and happened shortly after 12:30 p.m. in the parking lot of Jefferson Mall. The bus was dropping a student off at their designated location when the accident occurred. Since 2001, there were 363,839 fatal motor vehicle traffic crashes. From those, 1,236 fatal school transportation-related crashes accounted for 0.34% of the total fatalities. There have been 1,368 people who have died in school transportation-related crashes since 2001. That’s an average of 137 fatalities per year. Between 2001 and 2010, 84 crashes happened in which at least one occupant of a school transportation vehicle died. More than half of those crashes (56%) involved at least one other vehicle. In 2010, there were 129 fatalities in school transportation-related crashes. Students are about 50 times more likely to arrive at school safely if they ride the bus instead of driving themselves. They are more than 20 times safer than if they ride with a parent or other adult. In Kentucky, increased bus safety was pushed by the late Kentucky Transportation Secretary Milo Bryant. 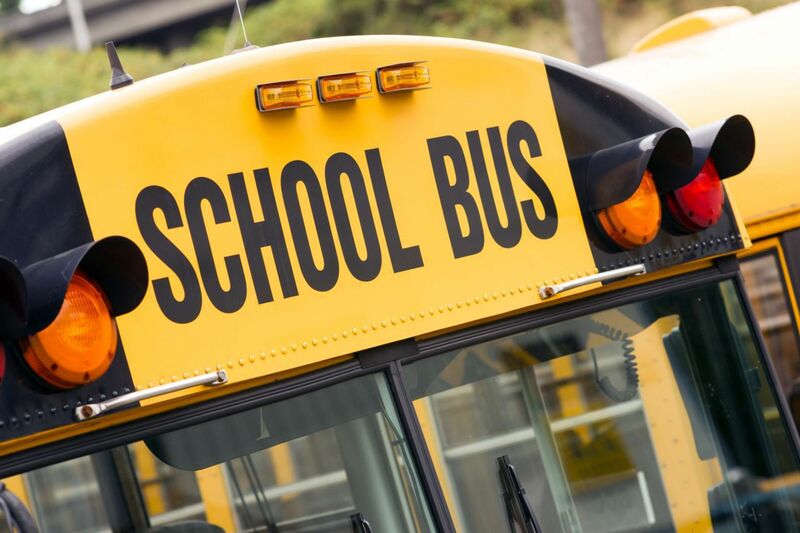 The bus safety task force recommended additional exits on new buses, fire-retardant seats, floor coverings, push-out windows and increased training for new school bus drivers. Likewise, 702 KAR 5:080 stated that school drivers should be trained in first aid, student management techniques, special education transportation and incident and emergency preparedness procedures. It is also the responsibility of a school bus driver to treat every student fairly. Every student is different but a school bus driver has to treat a student with special needs in the same manner as they treat any other student. In Ohio, drivers pick up all special-ed students in a designated location. The buses meet in a central location and transfer students into a bus servicing their assigned school. The Schafer Law Office believes that Kentucky can also do the same thing - developing efficient special-needs transportation. While everyone agrees that school buses are the safest mode of transportation for getting children back and forth to school, can it be safer? Some people wonder if adding seat belts on school buses would help improve safety. It has been proven that seat belts make any motor vehicle safer, but why don’t we have them on school buses? I have seen many people on school buses and city buses that were involved in an accident. Some of them were injured because they were thrown around because they didn't have a seat belt. California, Florida, Louisiana, New Jersey, New York and Texas require seat belts on school buses. Putting seat belts on school buses may be extremely expensive but the lack of safety equipment could cost us even more than money.